An on-foot tour of Asia’s biggest slum gives us an inside look on the lives of the residents, and why the space is fast becoming a hub of small-scale industries. Slumgods tour and travels organises this two-and-a-half-hour on-foot experience hopes to abolish all preconceived notions of this large slum area in Mumbai. 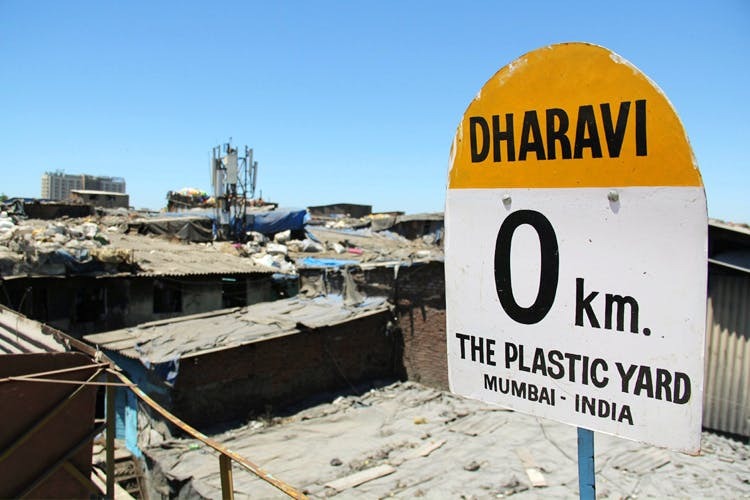 It aims to shun the notion of Dharavi being just a historic area of Mumbai’s poverty (the industries set up inside have a turnover of USD 665 million). If you’re interested, there’s a shorter tour named ‘Brisk Beat’ at INR 650 per person which includes a look at the recycling area, a bakery serving Khari biscuits, poppadam making workshop led by women, a look at households and a trip to the Kumabharwada pottery colony. The longer tour named the The Longer Yard needs at least a group of 3 at INR 3,900 (with a vehicle provided by them) and other than the attractions on Brisk Beat, it also covers Kamathipura, the red light district (they don’t let you get out of the car though) and a look at dhobi ghat. If you’ve always been intrigued by these areas but haven’t been able to visit citing security reasons, this is a safe and reliable way to explore these areas.